Riptide bushings are the best for esk8...the WFB formula is incredible, tall barrels are perfect for hard leans at high speeds. Save yourself time & money, buy Riptide bushings. 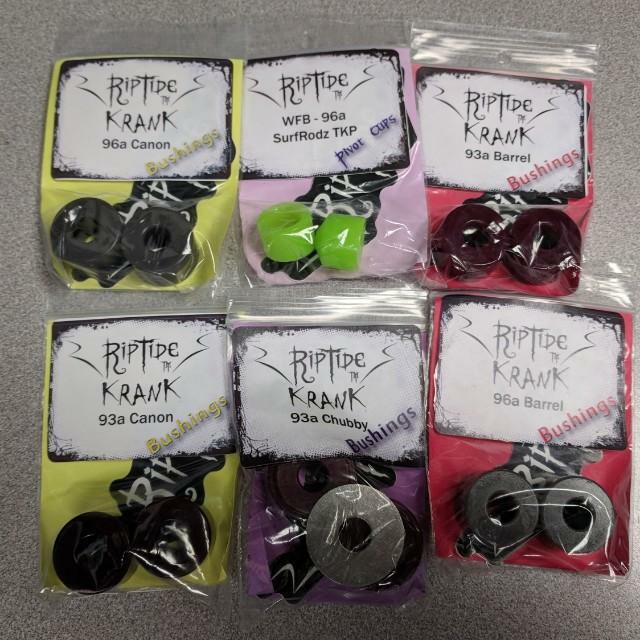 Tell us about your experience: Riptide bushings are the best for esk8...the WFB formula is incredible, tall barrels are perfect for hard leans at high speeds. Save yourself time & money, buy Riptide bushings.